Tell us a bit about your family. Only child. My father was a journalist, my mother a high school guidance counselor. They didn’t encourage me as a writer, which encouraged me as a writer. It reminds us that God loves irony, and that not every opportunity necessarily has to be taken advantage of, just because it exists. What are you most proud of accomplishing so far in your life? Early retirement. What is your favorite food? Spaghetti with scalops. When we have some time I’ll give you the recipe. What’s your favorite place in the entire world? Provence. I’m a foodie, and French food is my favorite. What genre are you most comfortable writing? Mystery fiction attracts me, because it explores the secrets people keep. It’s a little like looking at your parents and wondering what they were up to before you came along, things they might not want you to know about. What inspired you to write your first book? Writing a novel was an item off my bucket list. Also, the idea wouldn’t leave me alone. It obsessed me. I’d be trying to read a book and spend an hour in the middle of one sentence, obsessing about the novel I had to write. I just had to get it out of me and on paper. Who or what influenced your writing once you began? Ross McDonald is my favorite mystery writer. I wanted the plot of my mystery novel to be very much like one of his plots, and to give the reader a feeling or an impression of the interconnectedness of all things. What made you want to be a writer? It’s easy, and you make loads of money. That’s what I thought, anyway. 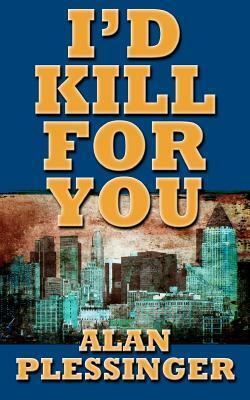 New novel portrays unlikely alliance of jaded investigators, 16-year-old runaway “I’d Kill For You” by Alan Plessinger takes readers inside a tangled web of murders and lies to depict a vulnerable young woman and her eccentric protectors MOUNTAIN VIEW, Calif. – “I’d Kill For You” (ISBN 1466333774) by Alan Plessinger is a private eye novel set in modern-day New York City featuring murderers, missing persons, double-crossers and a colorful cast of supporting characters. When an ex-con’s homecoming goes sour and results in a murder, the effective but eccentric De Remer Brothers Detective Agency is called in to sort out the mess. Charlie, Clyde, Gabe, Adam and Riley De Remer – not to be confused with Dreamer – make for an odd group of siblings, much less a cohesive investigative team. Alternately obese, cantankerous, smelly, cheerful and hypersensitive, the group is soon embroiled in a case that reaches far beyond its original scope. Matters are complicated when they discover Lisa, a 16-year-old runaway from Hoboken, has come to New York City to live with her mother. The only problem is that Lisa’s mother can’t be found and an assassin is hot on the runaway’s trail. The De Remers learn that Lisa is connected to their murder case, an investigation that has become a threat to themselves and the girl they have come to care for. Now they must unravel the mystery before the threat of violence catches up with them.